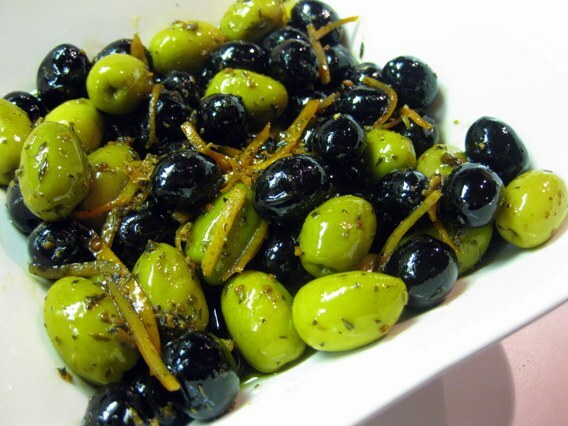 Once you've tried these spiced warm olives, you will want no others. The flavours are amazing but you need to warm the olives to really bring out their heady aroma and taste. Addictive doesn't begin to describe them. Trust me, you will find yourself making these olives often. These are perfect when served with a glass of wine before dinner....your guests will fall in love with them too. These olives will awaken your guests' senses and their appetite. I enjoy these olives with the spice of dried peppers but you can leave the peppers out and it will still be wonderful. Enjoy! 1. Over medium heat, warm oil in a medium saucepan. 2. Add garlic and cook, stirring often, for 3 minutes until fragrant. 3. Add Herbes de Provence and the dried peppers (if using). Cook and stir often for 1 minute. 4. Add the lemon and orange zest, cook & continue to stir for another 1 minute. 5. Add olives and a splash of balsamic vinegar, continue to stir and cook for another 2-3 minutes until the olives are warm. 6. Serve immediately or let it cool and reheat before serving. Going to visit a friend on Wednesday who loves olives. 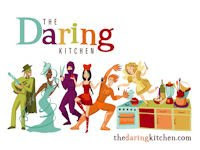 I think I'm going to have to make this dish and take it there, and we can warm it up and eat with cheese. Time to hit that new store, Olive & Olives, and then the Leslieville Cheeeeeeze Market. I haven't been a huge fans of olives until I tried some from California. They are not in the leats bit salty so they would work well in this dish! 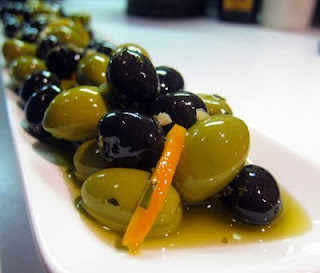 These olives vanished in minutes...they should be served atat the onset of any get-together!